Sword Art Online Season 3 Release Date, Trailer, Episode 1: So, there is some news for SAO Season 3. The fans of SwordArtOnline get ready for your next installment of entertainment because in the screening of SAO: Original Scale creator had hinted that Season 3 will be premiered soon. As we know that SwordArtOnline is one of the bestselling novels with the sale of 19 million copies worldwide. The second season of the anime series was ended in December 2014 and both seasons are very much appreciated by the viewers and critics making it the grand success- commercially as well. But now it’s been a long time fans are waiting for the third season and it seems that creators are finally giving an end to the wait and curiosity of fans. SAO Season 3 release date has been finally announced officially and it is going to premiere in October 2018. The opening and ending themes for the third installment have been announced. According to the official Twitter handle, LiSA will perform the opening theme “ADAMAS” while Aoi Eir will perform the new ending theme titled “IRIS”. Sword Art Online: Alicization will release in Japan this October. However, there will be a special hour-long premiere on September 15, 2018, in Japan, Los Angeles, Australia, France, Germany, Russia, and South Korea on the same day. Only some of the lucky fans will become the part of this particular premiere. 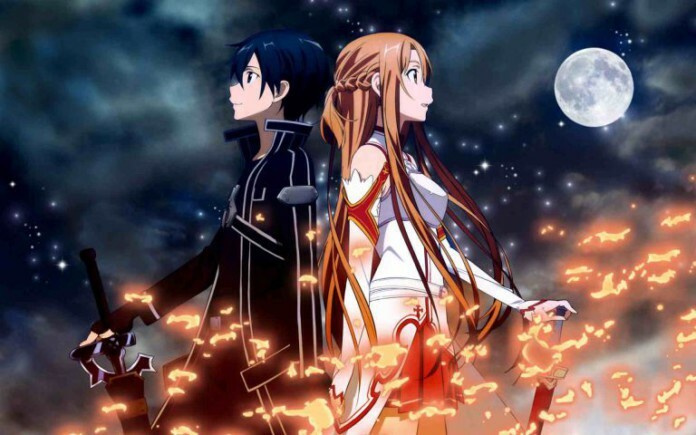 It is an adaptation of the one of the grand hit novel of all time named Sword Art Online by Reki Kawahara. The first series was started on July 7, 2012. Initially, it was aired on Tokyo MX and Adultswim in territories of North America. The novel, as well as its anime adaption, become popular among fans with a grand commercial success. The story is based on the VR game called SAO. The game is set in 2022 and it is acquired with the nerve gear, a sword, and a helmet and interesting thing is that this game is stimulating all 5 senses of player into the reality. The story gets twist when at a time 10,000 players log into the SAO’s mainframe cyberspace and got stuck into that as they were unable to find a way to get logged out. In this, all Creator of Kayaba game assist them and give them a solution that they have to fight and win all 100 floors and a castle made of steel to get away from that place. They are also strictly not allowed to remove the helmet because if they die in a game they will die in reality also. Kirito is the major focus of this game who is one of the testers which get green flag to play the beta version of this game. He also has experience in this field of the game which helps him to escapes from that trapped with all other players. Later he decided to walk the journey of the game alone. While playing this game he met with a girl named Asuna and later on he also marries with Asuna. Then they together go ahead in the game and reveal that Kayaba is the head of the guild Asuna. So this duo fights with the Kayaba and made everyone free from that trap. 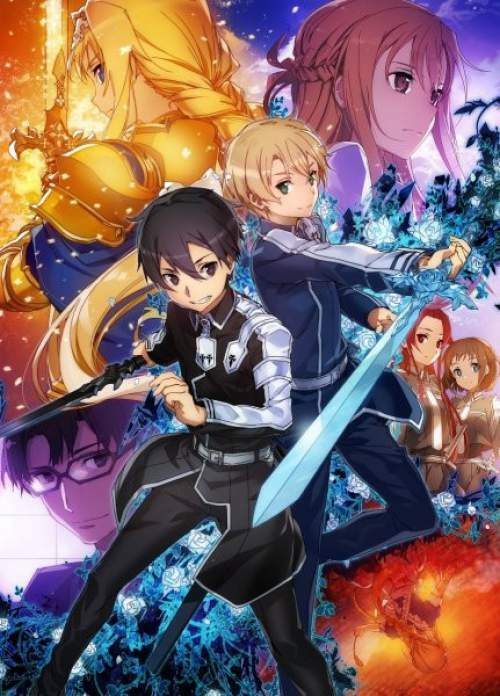 Anime fans may finally see the “Alicization” arc in SAO Season 3, as the previous producer Shinichiro Kashiwada also hinted that he would love to see it in SAO Season 3. But the storyline of the show is yet to be decided. Under the guidance of Kikouka Seijiro, a VR Crime Division Officer, Kirito will work for the mysterious organization called Rath. In this, Kirito has a responsibility to test a 4th generation FullDive machine named “Soul Translator.” Unaware of the fact that this machine will be used for military purpose, Kirito will study the effect of the Soul Translator on humans. After this machine become compliant then organization makes the new world and named it “Underworld”. The timeline of the underworld is thousand times faster than the real world. Kirito will get trapped in that world for 11 years of his life as a child. Fans are eager to see that what will be the ending of Kirito and Asuna relationship/The production has already started work on anime but you have to give break to your excitement as the official release date of SwordArtOnline S3 has already been announced. As per the sources, SAO season 3 will release in October 2018 and there is no shortage of content but they might be delaying the stories due to another reason. SAO: The Movie Blu-ray and DVD has been on sale since December 19, 2017. Nobunaga Shimazaki will voice Eugeo. So, stay tuned to The Reporter Times for more updates on your favorite shows. Wait so Kirito will get trapped for 11 years in a underworld without Asuna? Bet you 100 bucks that he makes another girl fall in love with him and then breaks her heart at the end. THATS THE KIRITO WAY, AND I LOVE IT. Its gonna be wierd being young though. I can imagine Kirito fighting with a sword and with a kid body.Its gonna be so funny,still gonna be really dificult for him cuz of the type of heavy swords he uses and if he wields two swords its going to be worse for him.BUT HE’S STILL THE GOD OF VR,AR,AND REAL WORLD!KIRITO RULES! I’m looking forward to kirito being a crippled broken man who is no longer the god of vr. One of the greatest things about this anime is the emotion involved. If Asuna doesn’t end up being with Kirito during the underworld then I believe a lot of fans would be disappointed. Honestly throughout season 1 during the SAO arc there was a constant intensity because everyones lives were on the line for so long and that’s really what made the anime great because even still throughout all that heartache Asuna and Kirito were full of love and as a watcher I could easily feel a lot of the emotion. It made the anime feel real and it would be a shame if they don’t continue a deep emotion in the story between Asuna and Kirito. Asuna and Kirito have a really deep bond so they wouldn’t let each other go. They won’t seperate because well THE FIRST FREAKIN SEASON WAS ABOUT THEM GETTING TOGETHER. Putting getting out of SAO aside…. Cant wait for SAO season 3! but this story is a little confusing, kirito is younger than before, but is using a machine that comes after the nerve gear, amusphere, and the augma? or is it just labeled 4th gen because it is the 4th full dive capable machine? If Kirito and Asuna brake up in season 3 I’m done. I can’t see myself favorite anime couple brake up like this. Not after everything they’ve been through. SAO was the first real anime series I got into. Don’t mess this up. And why can’t they go into this underworld game together? It would make sense if they had each others backs. I mean look at what happened in the first season. spoiler alert to anyone who hasn’t seen SAO. Asuna sacrificed herself to save Kirito. Also just out of curiosity. Why isn’t there more guys in the show? Its kinda starting to get annoying that all the girls want Kirito. But other then that I’m really looking forward to seeing Sao 3.